Did you know that dental implants are frequently the best treatment option for replacing missing teeth? Rather than resting on the gum line like removable dentures, or using adjacent teeth as anchors like fixed bridges, dental implants are long-term replacements that your oral and maxillofacial surgeon (OMS) surgically places in the jawbone. Many patients who have selected dental implants describe a quality of life that is much more comfortable and secure than the lifestyle endured by those with fixed bridges or removable dentures. When they count the benefits they enjoy as a result of their dental implants, patients say their implants eliminate the day-to-day frustrations and discomfort of ill-fitting dentures. They allow people to enjoy a healthy and varied diet without the restrictions many denture wearers face. With a sense of renewed self-confidence, many people rediscover the excitement of an active lifestyle shared with family and friends and the chance to speak clearly and comfortably with co-workers. For all these reasons, people with dental implants often say they feel better, look better and live better. After more than 40 years of service, the vast majority of dental implants first placed by OMSs in the United States continue to function at peak performance. 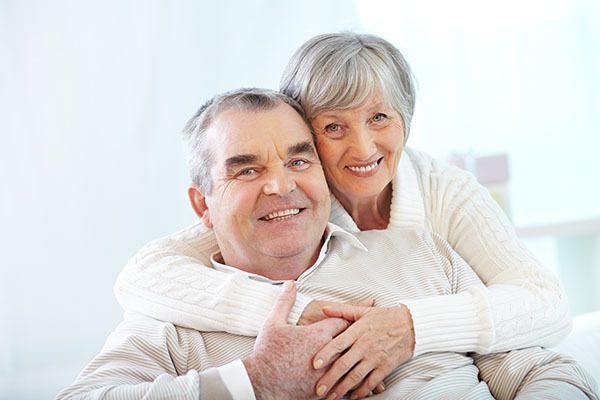 More importantly, the recipients of those early dental implants are still satisfied they made the right choice. If properly cared for, dental implants can last a lifetime. Years ago, these patients would have had no alternative but a fixed bridge or removable denture to restore their ability to eat, speak clearly and smile. Fixed bridges and removable dentures, however, are not the perfect solution and often bring with them a number of other problems. Removable dentures may slip or cause embarrassing clicking sounds while eating or speaking. 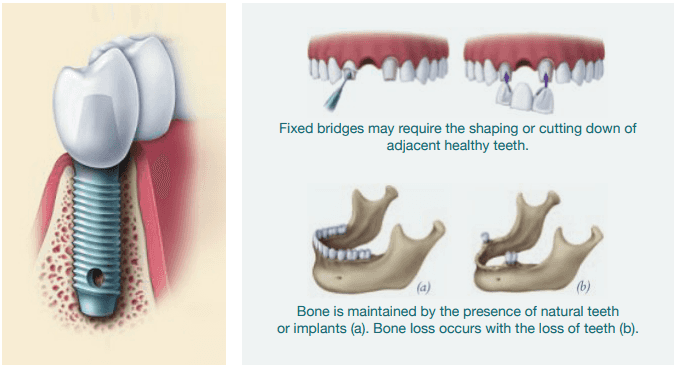 Of even greater concern, fixed bridges often affect adjacent healthy teeth, and denture wearers may suffer bone loss in the area where the tooth or teeth are missing. Recurrent decay, gum disease and wear and tear often doom fixed bridgework to early failure. For these reasons, fixed bridges and removable dentures usually need to be replaced every seven to 15 years. Rather than resting on the gum line like removable dentures, or using adjacent teeth as anchors like fixed bridges, dental implants are long-term replacements that your OMS surgically places in the jawbone. Composed of titanium metal that “fuses” with the jawbone through a process called osseointegration, dental implants never slip, make embarrassing noises or decay like teeth anchoring fixed bridges. Because dental implants fuse with the jawbone, bone loss is generally not a problem. Many people who are missing a single tooth choose to get a fixed bridge. But a bridge may require the cutting down of healthy, adjacent teeth that may or may not need to be restored in the future. Then there is the additional cost of possibly having to replace the bridge once, twice or more over the course of a lifetime. Similarly, a removable partial denture may contribute to the loss of adjacent teeth. Studies show that within five to seven years there is a failure rate of up to 30% in teeth located next to a fixed bridge or removable partial denture. Further, conventional dentures may contribute to the loss of bone in the area where teeth are missing. As illustration (a) indicates, the presence of natural teeth preserves the jawbone. When a tooth is missing, as in illustration (b), the bone may erode and weaken until it may be necessary for your OMS to graft bone to the area to strengthen it for placement of a dental implant. When a missing tooth is replaced by a dental implant, the fusion (osseointegration) of the implant and bone provides stability, just as the natural tooth did. If you are missing several teeth in the same area of your mouth, you may still enjoy the confidence and lifestyle benefits that come with dental implants. Your OMS will place two or more dental implants, depending on the number of teeth that are missing. 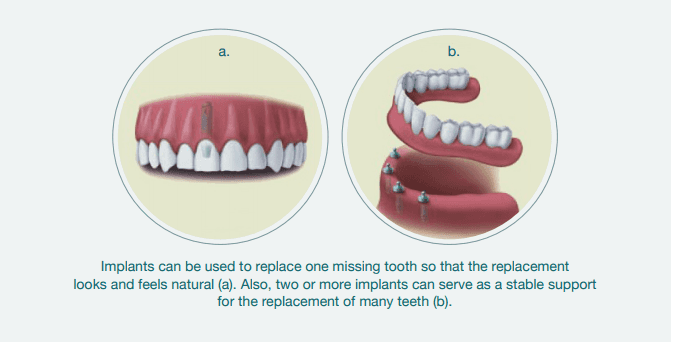 Your replacement teeth will be attached to the implants to allow excellent function and prevent bone loss. The implants will serve as a stable support that tightly locks into your replacement teeth and dentures to prevent slipping and bone loss. A successful implant requires that everyone involved – the patient, the restorative dentist who makes the crown for the implant, and the OMS, who surgically places the implant – follow a careful plan of treatment. All members of the implant team stay in close contact with each other to make sure everyone clearly understands what needs to be done to meet the patient’s expectations. The team is organized as soon as the decision for placing a dental implant is reached. Following an evaluation that includes a comprehensive examination, x-rays and a consultation with the patient and members of the implant team, the OMS surgically places the posts, or implants, in the patient’s jaw. The teamwork continues long after the implant and crown have been placed. Follow-up examinations with the OMS and restorative dentist are critical, and progress is carefully charted. Both the OMS and the restorative dentist continue to work together to provide the highest level of aftercare. Smoking. Although smoking lowers the success rate of implants, it doesn’t eliminate the possibility of getting them. Bone Loss. Bone loss is not uncommon for people who have lost teeth or had periodontal disease. 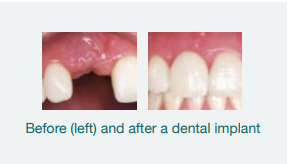 OMSs are trained and experienced in grafting bone to safely and permanently secure the implant. A. Yes, at Active Dental Plano, we place implants on a regular basis. Patients who are tired of wearing removable dentures and want something more permanent can benefit from dental implants. Since dentures can easily slip out of place, switching to implants can make it easier to eat, speak, and engage in normal daily activities. If you have worn dentures for some time, you may be suffering from resorption. If this is the case, your jawbone may not have sufficient density to support an implant. When this happens, we may recommend a bone graft prior to beginning. To discuss this further, call 972-996-3254 and schedule an examination. After physically examining your teeth and taking X-rays, we can create a full treatment plan for you. A. 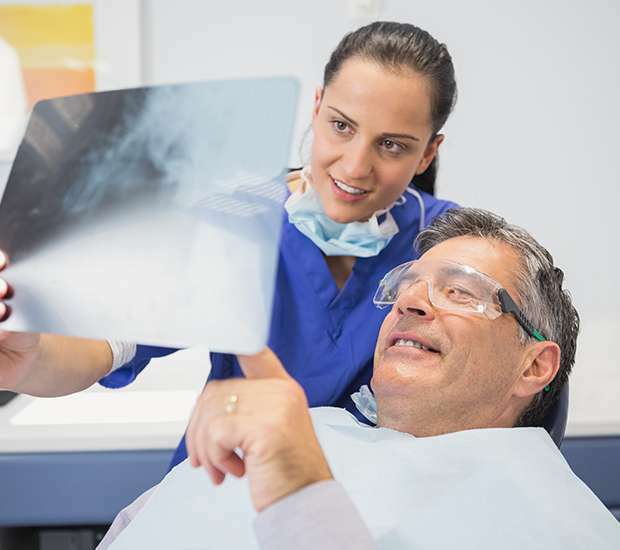 Before you can begin, we need to examine you and take X-rays to determine the density of your jawbone. This appointment will be non-invasive and comfortable. We can present you with all of the options available to you and discuss the ins and outs of each treatment solution. This will allow you to ask questions and select the option that is best for you. To begin, call our Plano dental office at (972) 996-3254.